Surprise! Parliament, the pioneering funk group led by mastermind George Clinton, have returned with their first album since 1980’s Trombipulation. 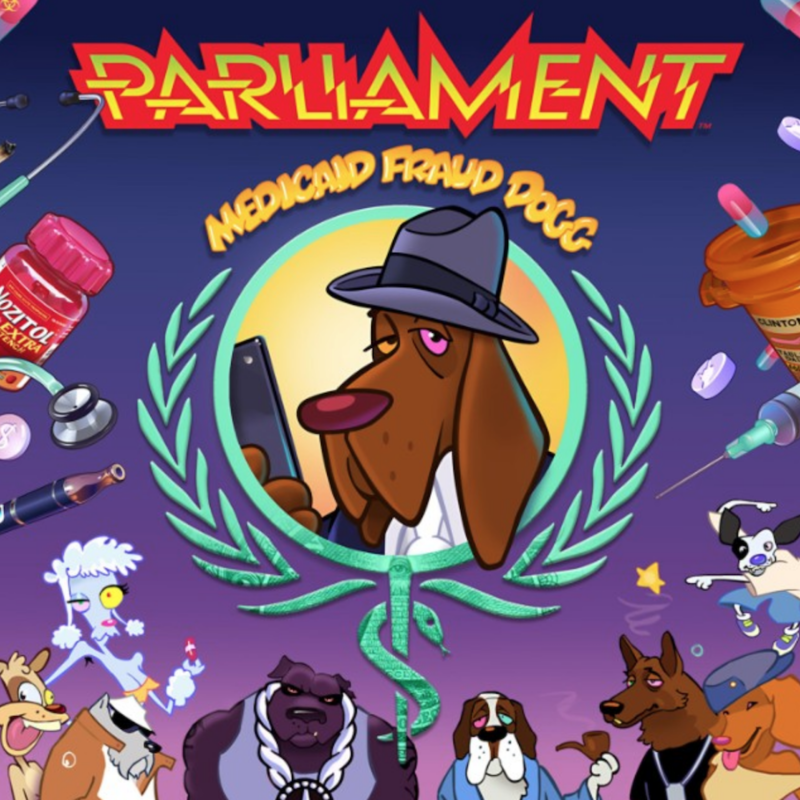 It’s titled Medicaid Fraud Dogg and can be streamed in its entirety below via Apple Music or Spotify. After waiting more than 30 years, fans have been treated to a total of 23 new songs, including “Medicated Creep”, “Pain Management”, “Psychotropic”, and the previously released lead single, “I’m Gon Make You Sick O’Me”, featuring Scarface. The album’s title and track names reference a much larger theme at play: an exploration of “the inner workings of the corrupt modern American medicinal machine,” per a press statement. “I had to get this music out there,” Clinton explained. “I felt real creative urgency to give the world this, right now.” In a 2017 interview with Australia’s The Music, Clinton added that the new LP continues to extend the P-Funk mythology that’s woven throughout his own past solo releases and those of Parliament and other project Funkadelic. Contributions from P-Funk horn players Fred Wesley, Pee Wee Ellis, Greg Thomas, and Benny Cowan appear throughout the digital-only release. Clinton is set to retire from touring in 2019. Find all of his remaining tour dates here.